Across the Great Lakes, water rates are rising. In Cleveland, rates have more than doubled in the last eight years. In 2010, an average family of four paid $630.41 for water and sewer. Seven years later, that number is around $1249.29. Great Lakes Today and American Public Media looked at water rates and shut-off data across the Great Lakes region and found that as cities incr ease water and sewer rates, shut-offs for non-payment are concentrated in poor communities and communities of color. The investigation looked at five cities across the Great Lakes – Cleveland, Buffalo, Detroit, Chicago, Milwaukee, and Duluth. Between 2010 and 2017, there were more than 40,000 water shut-offs in Cleveland. 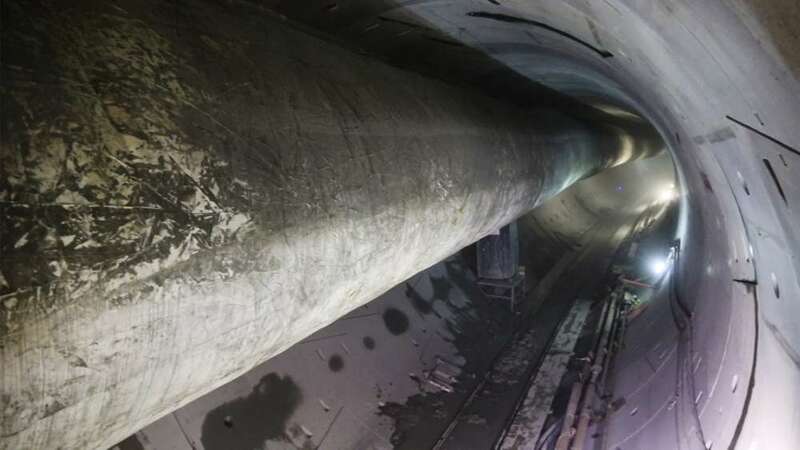 But when it comes to cost, Cleveland’s water and sewer rates are higher than any of the other five cities. Craft says the rising cost of water falls harder on some more than others. “People who already have a hard time paying all their bills will have their water shut off and then they’ll be hit with fines and fees that make it even harder to crawl out of this spiral that keeps their water shut off,” said Craft. To get water turned back on in Cleveland, residents must pay their full past due amount, but unlike other cities, there are no extra fees. 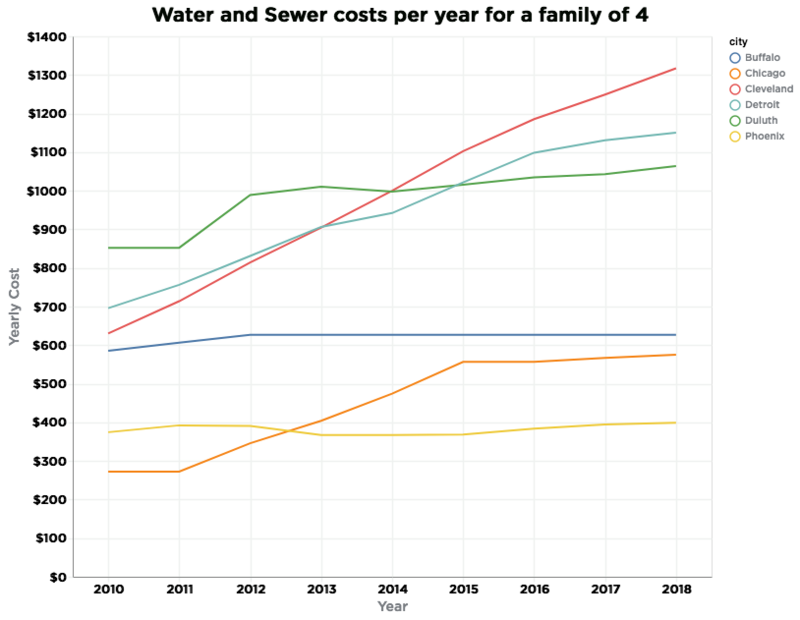 There are several reasons for the rising cost of water and sewer, but the main factor is infrastructure costs. Unlike years ago when federal money helped build infrastructure, today it’s up to the customers to foot the bill for repair and replacement. Under a federal consent decree, NEORSD has committed to a $3 billion infrastructure project to dramatically reduce sewer overflow into Lake Erie. Cleveland Water recently completed a $650 million investment to modernize treatment plants. Both utilities say steady rate increases means Cleveland is paying for investments now that other cities will eventually face. For those who can’t pay water or sewer bills, both agencies offer different discounts. Low-income customers, those in the middle of a crisis, and senior citizens are all eligible. Cleveland Water’s discounts do not apply to renters. Our data analysis shows that less than one percent of the thousands of shut-off notices sent to Cleveland Water customers went to those on discount programs. In other words, being on a discount program helped people stay on track with paying their bills and keeping the water on. But according to CHN Housing Partners, the Cleveland group that administers the discounts, only about half of eligible residents are enrolled. Affordability has become part of the national conversation for utilities. “The ability to pay and affordability for residents, especially lower income people, communities of color, I would say is one of the top concerns across the alliance membership,” said Radhika Fox, CEO of the U.S. Water Alliance, an organization with members that include local officials and grassroots environmental groups. Last March, the Alliance created a water equity task force with representatives from Cleveland, Atlanta, Buffalo, Camden, Louisville, and Milwaukee. Cleveland’s task force, which includes NEORSD’s Constance Haqq, developed a program called Water Champions. Haqq wants to six to ten “champions” stationed in neighborhoods with the most shut-offs, helping educate people about water and water conservation. The task force will start the program with listening sessions to hear residents’ perception about water, water equity, and what challenges they’re facing. But how will the “champions” help make water and sewer services more affordable? “We think water champions can help us reach people who can take advantage of existing affordability programs that can really make a difference on their monthly income and how their dollars are spent,” said Haqq. In the meantime, Cleveland customers will continue to see an increase on their sewer bills. 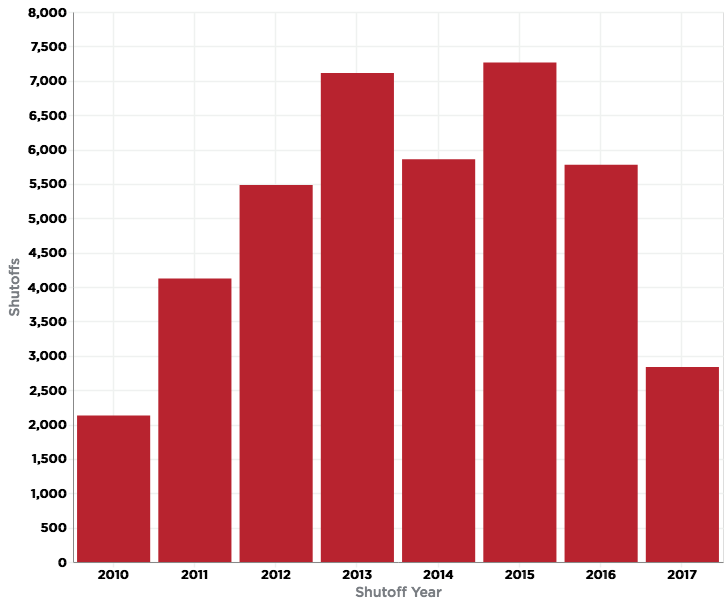 For Cleveland Water, rates have stayed the same for the last three years. But the freeze is over this year and as of January 1, you may have noticed a small increase on your bill.